If you are a high school car enthusiast just like me, this is the group for you. We discuss various topics, ranging from the history of the automotive industry and its first models to the current events that affect the manufacturing, design and marketing of modern vehicles. Join to have fun, discuss, debate, share and explore a fascinating world of driving machines. Does anybody why Volvo starting from 2019 will only be releasing cars that run on electricity wouldn’t that defeat the whole purpose of the company? And do u guys think it will be the Tesla? Can someone recommend good automotive engineering programs in the US? Hi Arush - UMich, Cornell and GeorgeTech are probably at the top of the list in the US (and generally one of the best in the country). However, there are a number of other universities in the US and Europe that can lead to a career in automotive engineering. While many are aware of the 2009 bankruptcy of one of the largest automobile manufacturers in history (General Motors), very few know about a similar incident that occurred in Great Britain just 20 years before. In the video attached Jeremy Clarkson does a very good job explaining the rise and fall of British Leyland, an organization created to aid the British manufacturing industry, but in turn, ended up destroying it. 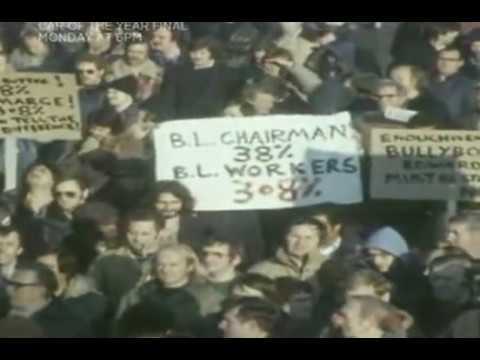 What do you think caused the collapse of British Leyland? GM? Are these two corporate disasters similar or different? Has GM been able to recuperate after its bankruptcy, or is another downfall lurking in the near future? GM is a solid company now and I doubt it is going down any time soon. The big question I have is Tesla or some other EV company going to dominate the market? That is true. GM has definitely been able to recover from the crisis quite well. In fact, according to "U.S. News," the 2017 Chevrolet Bolt is the top selling compact car in the United States this year. The Bolt, despite its above average price tag for an average family car (around $37,000), is said to be one of the best electric vehicles on the market today (aside from Teslas). Regarding Tesla and other EV companies possibly dominating the market in the future, I do not believe such an event will occur. In recent years, many manufacturers including GM, Volvo, and Hyundai-Kia have made vows to go all electric by the year 2030 (Volvo even promised to be completely electric by 2019). Therefore, while Tesla dominates the EV market today, as technology develops, and the demand for more eco-friendly cars increases, major auto manufacturers will have no choice, but to adapt to the changing environment if they want the slightest chance of surviving as a company. But do you think with oil price relatively low people will want to own electric cars?